I can’t remember which book made me fall in love with reading. 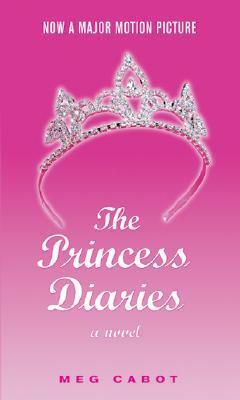 I do, however, know exactly which book made me fall in love with YA: The Princess Diaries by Meg Cabot. Okay, so maybe I couldn’t relate to being the princess of a small European country (I wish! ), but I still felt like I’d found a kindred spirit in Mia. I loved that she could be self-conscious and brave at the same time, that she was funny as all hell, that she wasn’t perfect. Sometimes she screwed up and wasn’t a good friend, but she and Lily worked things out anyway. It was so important to me to read that one disagreement wasn’t a friendship death sentence. 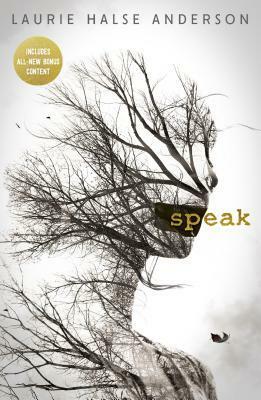 This is the book that got me hooked on YA. I wanted to read it. I wanted to write it. Would I still be a YA writer if I hadn’t read The Princess Diaries? Maybe, but maybe not. Meg Cabot’s books had a profound impact on the course of my life. I think it’s important to tell people that, because sometimes people think the only words that matter are the gritty, literary*, issue-y ones. However, I’m here to tell you that stories about girls on summer road trips, falling in love at boarding schools in Paris, and sharing a pair of jeans that magically happen to fit all of them are just as important. These words matter too. They change lives every day, and I think they deserve a lot more credit and respect. * Note: I don’t mean for it to sound like the books I’ve mentioned here aren’t literary. I’m going for the more narrow (and dare I say snooty?) definition of literary, rather than my personal definition. Rachael Allen lives in Atlanta, GA with her husband, two children, and two sled dogs. In addition to being a YA writer, she’s also a rabid Falcons fan, an expert dare list maker, and a hugger. Rachael is the author of The Revenge Playbook (HarperTeen, June 2015) and 17 First Kisses (HarperTeen, 2014).